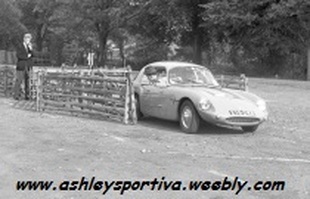 The Ashley 1172 came to my attention in this article from the official "ELVA Cars" website. 219 GKR - ASHLEY-ELVA ? A recent "barn find"
Andrew from Cornwall called me a few days ago as he had just bought a "barn find" which was said to be an "Ashley-Elva". 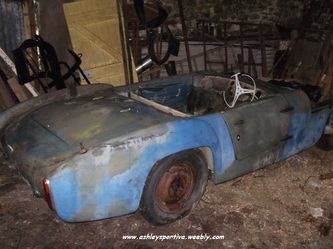 My first thoughts were that perhaps this was a Ashley Laminates bodied ELVA Mk.1B, however a search on the web using the UK road registration number revealed the car which certainly is an Ashley body but most unlikely to be on an Elva frame. 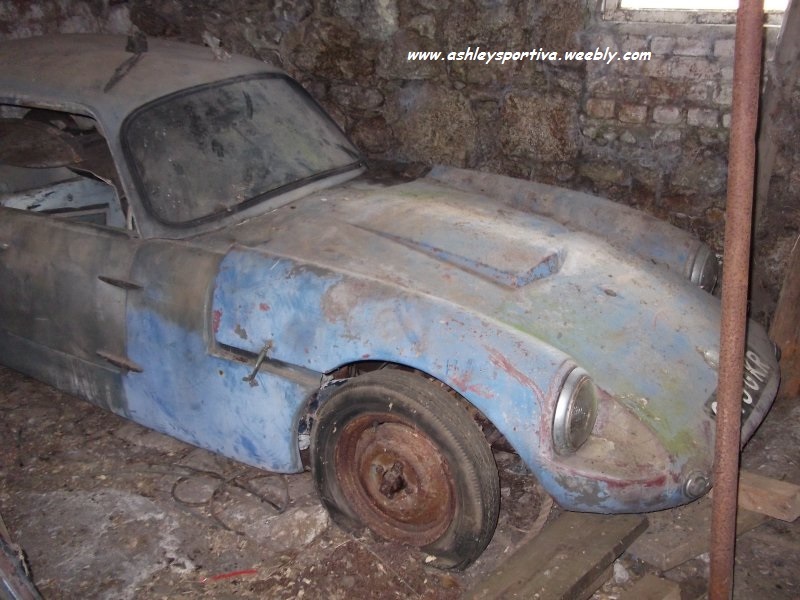 The actual car has yet to be recovered from the very isolated barn so new photo's will tell more, but my guess is that this Ashley may have been fitted with an IOE Elva conversion on the Ford 100E engine. Apparently it currently has a 100E unit fitted with the Aquaplane head. The car is a roadster with fitted hardtop. A further search should show the actual model as Ashley produced a number of grp body styles, including of course the 'Competition' type used on the Elva Mk.1B. 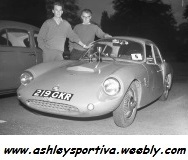 The car does have competition history and one of the pictures appears to show it being used in an Autotest event in the Maidstone area. There are two badges, one in brass showing a 'Rampant Lion' and the other showing a 'Running Hare', on a bright red background. Probably motor club badges, but can anyone offer any ideas, or perhaps even recognise the car and two 'owners'? 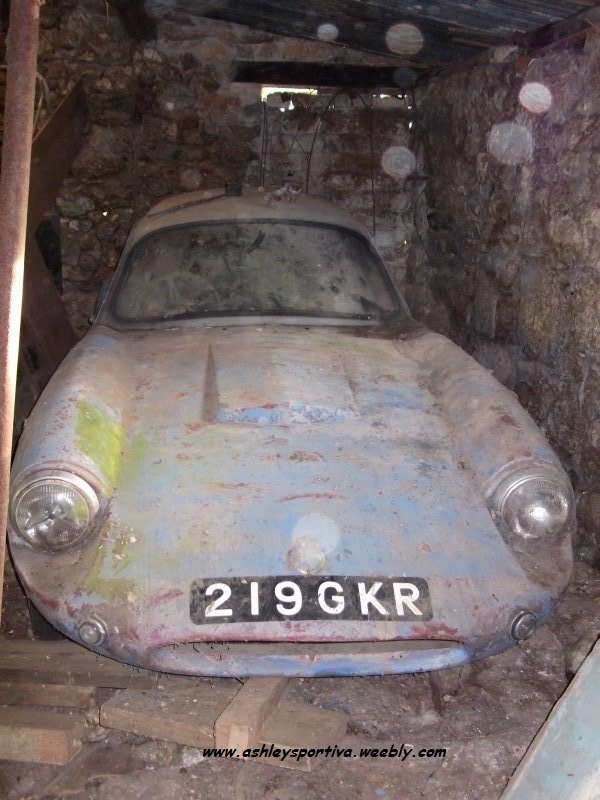 I contacted Roger at the "ELVA Cars" website in June 2013 to try and get more details and a possible contact address for Andrew in Cornwall. Roger phoned Andrew and within a few days I had an email from Andrew via his PA, including photo's of the Ashley 1172 as purchased and after Andrew had removed the bodyshell. 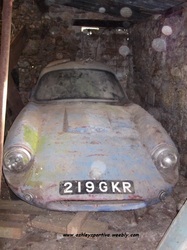 The photo's above show the car in the farm barn and just after being towed out. There are two badges on the bonnet, the one just above the registration number is an RAC Badge. but half way up the bonnet is an inch square Brass badge of a Rampant Lion, the one on the drivers door is the Ashley Laminates badge. If anyone has any idea what the Rampart Lion badge indicated we would like to hear from you, so send an email please. My Registration Index Archive list indicates that the car had been built using a Regent chassis and this is confirmed by the chassis photo's, a Ford 100E unit fitted with the Aquaplane head is the drive, the rear axle and wheels are Morris and the car was registered as a Morris Special in August 1959. Mr P. Nichols, in Kent in August of that year. If you see this Mr Nichols (or a relative of yours see it) please send me an email to pass on any information about the early history for this page and for Andrew the new owner/restorer. 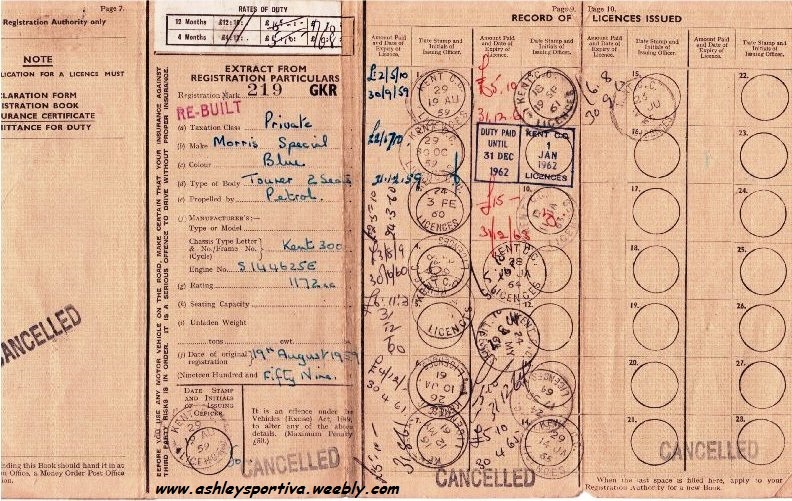 Photo of Original 1959 Log Book courtesy of Andrew. 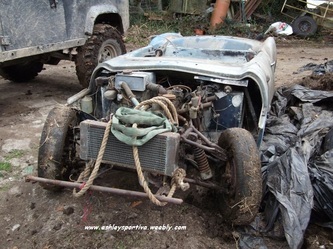 I hope that I will be able to report the restoration progress as it moves ahead with write up's and photo's from Andrew until it is back to the condition of a new Ashley 1172 Special.